This image was taken by Lunar Orbiter IV in May 1967 and shows the south pole of the Moon. Figure 1 shows the region without labels. 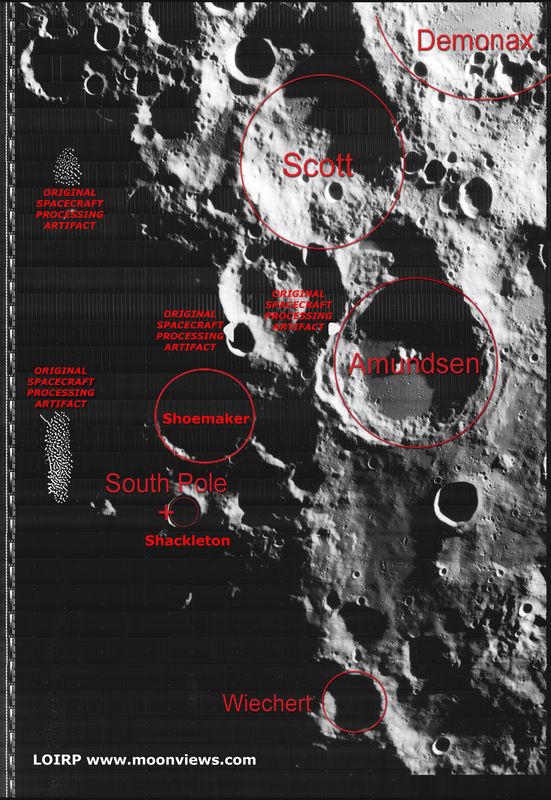 Figure 2 shows major features plus notation regarding processing artifacts from the spacecraft’s film processing system. The moon’s south pole is located near the rim of Shackleton Crater. Adjacent to the south pole is Shoemaker crater named in honor of famed planetary geologist Eugene Shoemaker. The Lunar Prospector spacecraft, carrying some of Shoemaker’s ashes, was deliberately crashed in this crater in an attempt to see if any water ice would be thrown up by the impact. The Lunar CRater Observation and Sensing Satellite (LCROSS) will be targeted to impact at the south pole of the moon. As such, the moon’s polar regions are of great interest right now. This image has been recovered in its original high resolution format from original Lunar Orbiter project data tapes using restored tape drive hardware and will eventually be submitted to the PDS (Planetary Data System).